It was announced that an independent commissioner would decide on the boundaries of the new district council areas. A car bomb exploded in Sackville Place, Dublin, Republic of Ireland, and killed one person and injured 17 others. The person killed was Thomas Douglas (25). The car used in the bombing had been hijacked at Agnes Street, Belfast. ‘Shankill Butchers’ Sentenced A group of 11 Loyalists known as the ‘Shankill butchers’ were sentenced to life imprisonment for 112 offences including 19 murders. The 11 men were given 42 life sentences and received 2,000 years imprisonment, in total, in the form of concurrent sentences. Maurice Gilvarry (24), a member of the Irish Republican Army (IRA), was found shot dead near Jonesborough, County Armagh. He had been killed by other members of the IRA who alleged that he had acted as an informer. A British soldier was shot dead by the IRA in Derry. Douglas Hurd, then Secretary of State for Northern Ireland, was interviewed on Radio Telefis Éireann (RTE) during which he said that political arrangements could be created to improve Anglo-Irish relationships. When two Irish National Liberation Army (INLA) members were shot dead by members of the Irish People’s Liberation Organisation (IPLO) in Drogheda, County Louth, Republic of Ireland, a feud began between the two organisations. The coalition government in the Republic of Ireland, led by Garret FitzGerald, ended after the Labour Party withdrew its support. John Taylor, then Member of the European Parliament (MEP) for Northern Ireland, left the European Democratic Group to join the European Right Group. 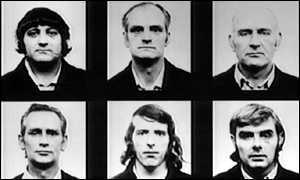 The case of the ‘Birmingham Six’ was referred to the Court of Appeal by Douglas Hurd, then British Home Secretary. The British government opposed the classification of Northern Ireland as one of Europe’s poorest regions thus reducing the amount of regional structural funds that it received. Brian Nelson appeared in court on charges relating to the Stevens Inquiry. The private secretary to John Major, then British Prime Minister, replied to a letter from Gerry Adams, then President of SF, to state that there “can be no question of renegotiation” of the Downing Street Declaration (DSD). A Catholic family escaped injury when a bomb exploded under their van in Larne. Gerry Adams, then President of Sinn Féin (SF), accused the Ulster Defence Association (UDA) / Ulster Freedom Fighters (UFF) of “actively” collaborating with the Loyalist Volunteer Force (LVF) in some of the recent killings of Catholics. However, Adams said that the Ulster Democratic Party (UDP), the political representatives of the UDA / UFF, should not be expelled from the multi-party Stormont talks. Kenny McClinton, then acting as Loyalist Volunteer Force (LVF) representative to the Independent International Commission on Decommissioning (IICD), said that the LVF was considering a second round of decommissioning. Patrick Harty, a farmer from Toomevara, County Tipperary, refused to give evidence as a prosecution witness in the trial of the four men accused of the killing of Jerry McCabe, who was a Detective in the Garda Síochána (the Irish police). Harty said he could not give a reason for his refusal to give evidence and was jailed for 18 months. There were disturbances in the Serpentine Gardens and White City areas of north Belfast. Catholic homes in the Serpentine Gardens area were petrol-bombed between midnight and approximately 1.30am (0130GMT). The devices were thrown from the Loyalist White City area. In follow-up searches in White City the police found a crate of petrol-bombs – some with fireworks inside. At approximately 4.30am (0430GMT) the home of a Protestant family in White City was attacked with petrol-bombs. There was scorch damage to the house but no injuries. The petrol-bombs were thrown from the Nationalist Serpentine Gardens. The family of six said they would leave the area. 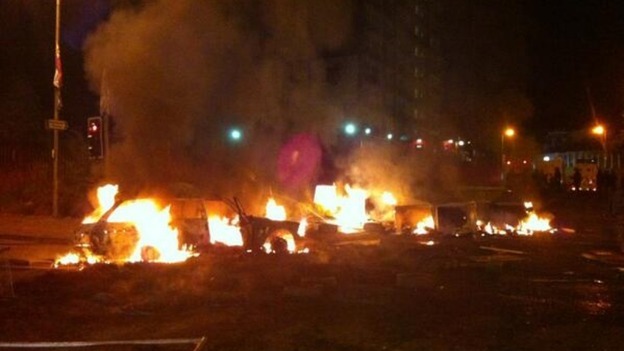 There was also rioting in the nearby Shore Road and the Whitewell Road areas of north Belfast. 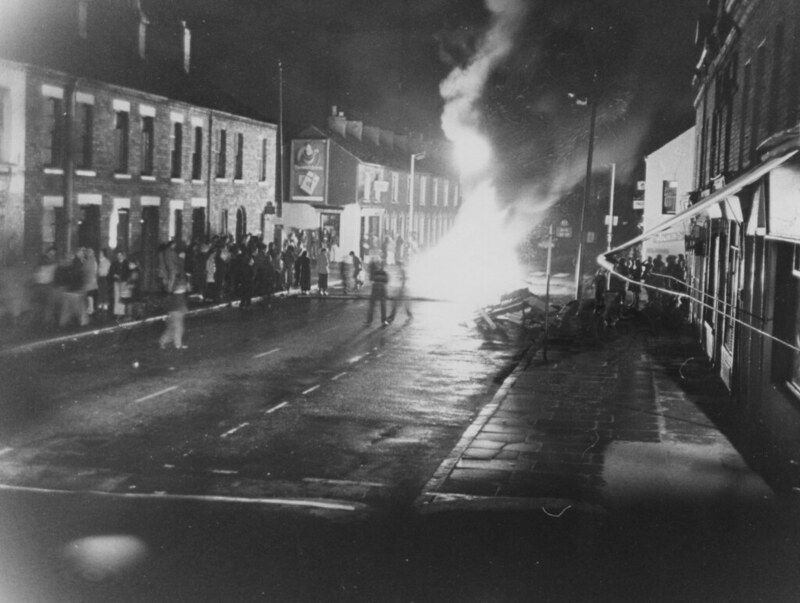 Nationalists threw a petrol-bomb into a Protestant house on the Whitewell Road. The house was empty at the time and there were no injuries. There were then further disturbances involving Loyalists and Nationalists. Nationalists crowds throwing petrol-bombs, stones, and blast-bombs attacked police and fire officers who were dealing with burning barricades. Nigel Dodds (DUP), then Member of Parliament (MP) for north Belfast, held a meeting with Alan McQuillan, then Assistant Chief Constable, to ask for 24-hour police patrols. Independent Television (ITV) in the United Kingdom (UK) broadcast a film entitled ‘Bloody Sunday‘ that portrayed the events in Derry on 30 January 1972. Orginally from Scotland. 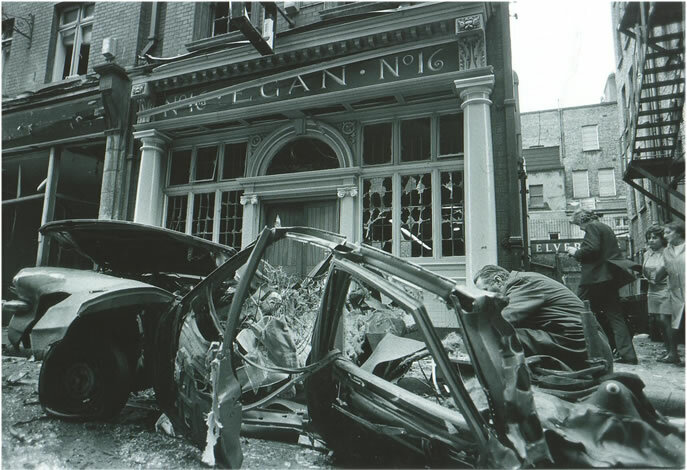 Killed when car bomb exploded, Sackville Place, off O’Connell Street, Dublin. Shot while walking along Maple Gardens, Carrickfergus, County Antrim. Off duty. Found shot in field, Altadaven, near Clogher, County Tyrone. From County Sligo. Shot during attempted hijacking of bus, Kinawley, County Fermanagh. Shot during car chase, shortly after being involved in robbery, Black’s Road, Dunmurry, near Belfast, County Antrim. Shot while in Rossnaree Hotel, Drogheda, County Louth. Irish National Liberation Army / Irish People’s Liberation Organisation feud.